Maygrass is an annual native grass found throughout the southern U.S. 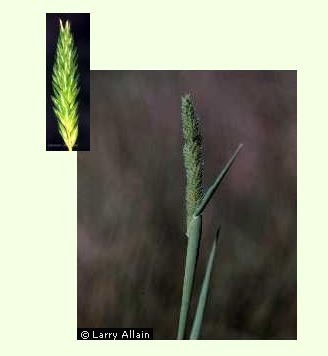 It is a winter annual with starchy seeds that ripen in May and June. Maygrass seeds are difficult to distinguish from a closely related perennial, reed canary grass (Phalaris arundinacea). Reed canary grass is indigenous to Iowa while maygrass is not. 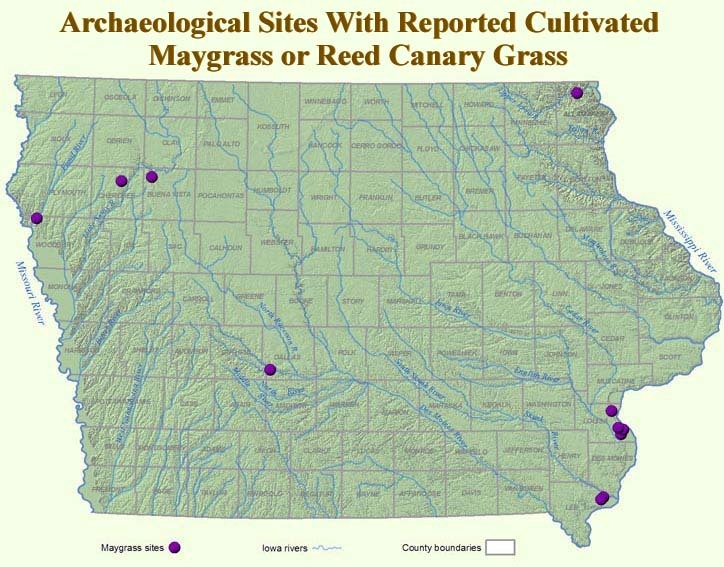 Most archaeological discoveries found in Iowa are considered likely to represent cultivated maygrass rather than reed canary grass. Maygrass seeds found in paleofeces from dry caves in Kentucky directly demonstrate that the plant was part of the prehistoric diet. The seeds are high in carbohydrates, low in fat, and a rich source of dietary iron and thiamin. It has a higher protein content than other starchy and oily seeded plants and nuts used by Woodland peoples. Like other starchy-seeded plants, maygrass was probably prepared by parching and boiling. The seeds may also have been ground. Maygrass first occurs in Late Archaic sites dating 2,000—3,000 years old. In Iowa cultivated maygrass appears in 2,000 year old Middle Woodland contexts at sites like Gast Farm (13LA12) and Sand Run West (13LA38.) It was cultivated into the late prehistoric period.